The latest machine to be dubbed an “F1 car for the road” is Zac Mihajlovic’s bespoke, Ferrari-powered single-seater, and it might be the closest one to the real deal we’ve ever seen. It will go into production if Mihajlovic finds customers for his ludicrous creation. Remember the Caparo T1? What about the Bac Mono? What about Gordon Murray’s LCC Rocket from 1992? All of these were, at one moment in time, referenced as “F1 cars for the road”. They had one seat, little pieces of fiberglass or aluminum to cover the wheels, and they were very, very fast. But, none of them really looked like an F1 car does. Even Ford jumped on the bandwagon in 2012 when they brought to the Paris Motor Show a Formula Ford car fit for everyday roads. It had a 1.0-liter, Ecoboost engine and could lap the Nurburgring-Nordschleife in 7:22, but the limited production run of 20 to 40 units never happened. Now, someone finally wants to make it happen. Mihajlovic previously built, with painstaking attention to detail, a replica of the Batmobile featured in the 1989 Batman with Michael Keaton and Jack Nicholson. His credentials are set. “No one’s done it with an F1 car, they’ve done things like the BAC Mono or the Ariel Atom, but they’re four-cylinder and look like concept cars,” says builder Zac Mihajlovic from Australia in an interview with MOTOR, and he’s not far off the truth. 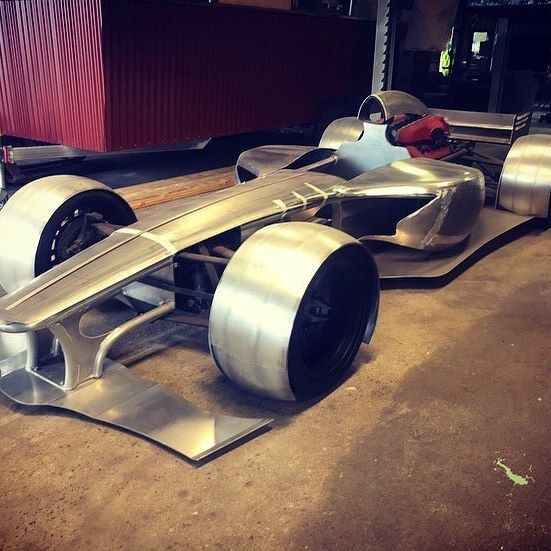 His creation, made out of polished aluminum that will stay that way so that he doesn’t have to worry about paint blemishes and dents, does look like a high-nose F1 car from 2011-2013. The body can also be made out of carbon fiber if the customer so desires. The engine for the beast comes from a 2014 Ferrari F12 Berlinetta that was wrecked. All 740 ponies from the 6.3-liter V-12 are, however, intact, and they will reach the ground through an Albins gearbox. Albins are the guys who put together transmissions for the Commodores and Falcons you see racing in Australia’s Supercar series. The six-speed gearbox can be optioned with either paddles or a sequential shifter. Mihajlovic aims for a dry weight of just 1,543 pounds. With all the fluids and driver onboard, Zac hopes that the power-to-weight ratio will stay at 1:1. Remember how Koenigsegg bragged about achieving this balance with their Agera-based hypercar that was actually called “One:1”? The car will be sold under the “Zacaria Supercars” moniker and will cost at least $728,000. Looking at the pictures you might ask yourself how does this thing go over any sort of irregularities in the road surface. Well, the boys behind this project have it all covered – thanks to the Batmobile. They equipped the “F1 car” with a hydraulic system that will lift the car up – much like air-ride suspension – so that you don’t ruin your undertray when you leave your driveway. “Everything’s fully adjustable; there’s the air-brake, a straight-through exhaust that has valves… it’s pretty wild,” adds Mihajlovic. 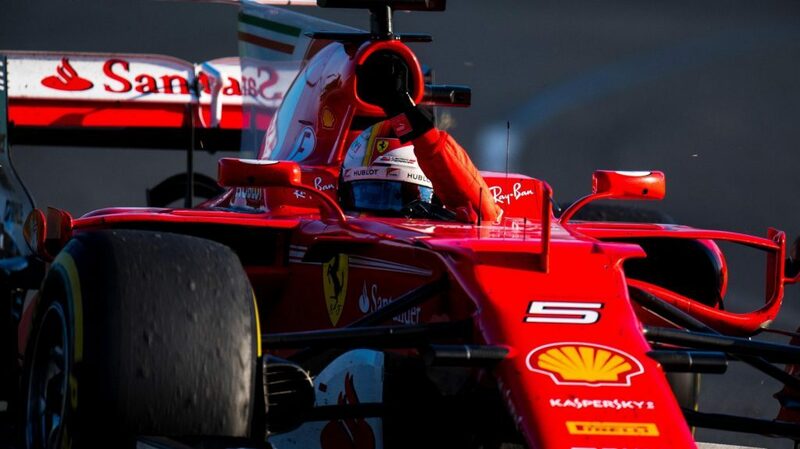 The Australians hope to get the show on the road before the year’s end, although that Ferrari V-12 engine hasn’t been fired in over two years’ time. We all hope everything goes according to plan for “Zacaria Supercars” and that Mihajlovic’s first client, an eccentric supercar collector who wants to have it all, buys one because such mad projects are what make the automotive world go round.